Who says Yovi isn’t the high-flyer of the new year, 2018? 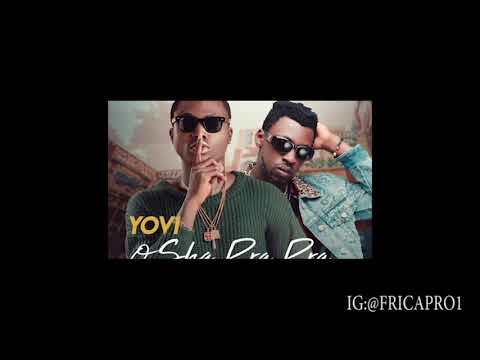 He has commissioned yet another remix treatment for his banging “Shaku Shaku” hit song titled “Osha Pra Pra.” This latest episode features Orezi. Then, he unveiled a masterclass remix alongside Alter Plate boss, Harrysong. Both versions still continue to compete with each other at the upper echelons of the charts, trends and across social gigs. Yovi doesn’t seem content though, or do we say other artists just want to grab a slice of the monster hit record? Well, Orezi is of a different breed of entertainers having commissioned such beastly jams of his own including “Cooking Pot,” “Call The Police,” “Just Like That,” and many others. The “Halleluyah“ and “BomBom“ hitmaker” only extended the lifespan of “Osha Pra Pra” with some urban groove and grind that’s surely set to resonate with the streets once again. Do not be alarmed, Krizbeatz The Drummer Boy retains production credits and you just know it is a mental episode that’s made the weekend nothing short of an explosive menace. Do you need to be told? Simply stream, download, then share your thoughts and opinion in the comments section below.